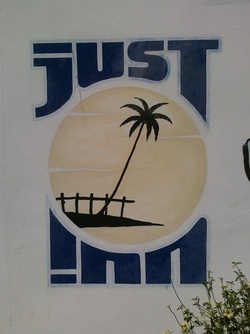 Just Inn is a small, private cottage style resort located in the lovely town of Dalaguete, Cebu in the Philippines. If you are seeking a unique, authentic experience, you should consider visiting us and staying in one of our cottages. We have six of them within a gated community. 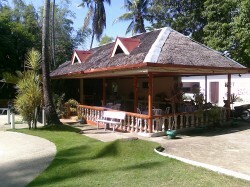 Our resort also includes a well-maintained poll and a restaurant that serves the best in local cuisine. 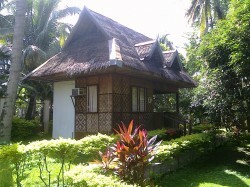 Our rooms rent for 600php per night. They include air-conditioning, toilet and warm water shower. It is the best value in town! This is family-owned business lovingly managed and maintained. Our grounds are manicured with local plants and trees in a quiet corner just off the main road. This is a very safe and friendly location. And if you are coming here and need guidance on what to do and where to go, we can provide you with the connections to all of the sites and resources of our lovely town. Dalaguete has dive shops, markets, shopping, natural spring-fed lagoons and lots of other historic sites. We can help you make the most of your vacation experience and will happily assist you on your adventure. 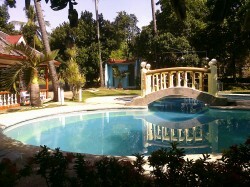 Or, you can just relax by the pool and sip on on of our famous Mango Shakes. Our cottages are quaint and very comfortable. They include air-conditioning, full bath and televisions. There is a separate sitting area and a small outdoor porch. Rental charge is just 600php per day. We have a well-maintained, clean, cool, chlorinated swimming pool for your enjoyment and relaxation available to guests 24 hours a day and 7 days a week. Local and international cuisine is available at our on-site restaurant. Try one of our fresh, homemade mango Shakes! 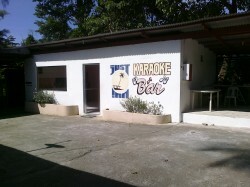 Come join us for a song at our Karaoke Bar. Meet some of our local friends and join in for Western and Filipino music sing-along.